SINGAPORE: New restrictions on cigarette packaging will be introduced in Singapore after amendments to the Tobacco Law (control over advertising and sales) were adopted in parliament on Monday (February 11th). All tobacco products will have to be sold in plain packs – in standardized color and with all logos, brand images and promotional information. Brand names and product names will be allowed, but only in standard color and font style. Graphical health warnings must also be at least 25% higher than the existing ones. Moving the motion for a second reading bill, Senior State Health Minister Edwin Tong said it was necessary to do more to reduce the use of tobacco here. He noted that every fifth man in Singapore is smoking every day and that smoking rates for men are higher than in Australia, New Zealand, the United Kingdom and the United States. More than 2,000 Singaporeans die every year from smoking-related diseases, he said. Although the rate of smoking in the past has been curbed with measures such as banning smoking in certain public places, limiting tobacco advertising and imposing taxes, the decline is more difficult to maintain in recent years, said Mr. Tong. "The rate of smoking varies between 12 and 14 percent over the last 10 years, without a clear pattern of continuous decline," he added. "Obviously, we must do more to stop the use of tobacco among Singaporeans, with the aim of denormalizing the use of tobacco products and the overall smoking rate to the level that is lower." Amendments to the Bill come as a result of banning tobacco products from selling outlets that came into force in August 2017, as well as legal changes that increase the minimum age for the purchase, use, possession, sale and supply of tobacco products. The Ministry of Health (MZ) will inform stakeholders in industry about the proposed specification for standardized tobacco packaging and discuss other operational issues of implementation with them, Tong said. As with other changes related to tobacco products, it is likely to be given nine to twelve months in advance, he added. Explaining the focus on the packaging, Mr. Tong said that cigarette packets serve as a "five-second advertisement". "Evidence suggests that the attractiveness of branded packaging is also one of the factors that encourage children and young people to experiment with tobacco and to establish and continue smoking habits," he said. It seems that a study conducted by the Health Promotion Committee (HPB), to assess Singapore's perception of the current and common cigarette packing, supports such evidence. The study has shown that attractive packaging designs are associated with high-quality cigarettes and the likelihood of attracting young people to try out such products is increased, Tong said, adding that among the "significant minority" of non-smokers, the visibility of the package is related to the intention of three smoking. HPB findings from other local studies have also shown that packages with darker color and with graphical health warnings that filled at least 75% of the areas considered by Singapore were least attractive. They were also considered to be more harmful to health. Members who spoke about the Bill were largely supported by the amendments, but they aroused some concerns. Chia Shi-Lu, the president of the government's parliamentary committee on health, asked whether standardized packaging leads to an increase in counterfeit tobacco products. He also asked if this would lead to "low trading", which describes a phenomenon in which there is a shift from more expensive tobacco products to cheaper alternatives in the market. In connection with advertising, nominated MP Lim Sun Sun pointed to the use of what she described as "subversive social media campaigns" by multinational tobacco companies, which circumvent limitations on tobacco advertising. Such campaigns, she explained, capitalize the attractiveness of people who influence social media through photographs that influential people smoked in cold spaces while wearing trendy clothes, accompanied by attractive hashtags. Impacts are given strict instructions on what cigarettes should show, how to take natural photographs that do not resemble advertisements, when they need to put these images to the optimum engagement of the audience, as well as the hashtags they have to use, she said. In one particular country, even people who influenced it were told to hide health warnings on cigarette packets before sending pictures. "Such a fuzzy tactic is calculated to deceive young people to think that these images are the organic content of social media that simply reflects the culture of young people," she said. Professor Lim asked whether greater efforts would be made to monitor the use of social media by companies producing tobacco and e-cigarettes. She also asked whether the ministry would cooperate with the Advertising Standards Agency in Singapore to establish more specific guidelines on the liability of entities that impact on social media in terms of full disclosure in cases of sponsored content by tobacco and e-cigarette companies. Advertising is also an issue raised by MP Thanam Poh, who asked whether the Ministry of Health would consider requesting electronic media to carry reminders of the harmful effects of tobacco in all projections of videos, films or dramatic productions, where they can not edit cut smoking scenes. DECISION ON THE ESTABLISHMENT OF CHANGES "NOT EARLY"
Answering the concerns of MP in his speech on the law, Mr Tong said the Ministry of Health's assessment that the introduction of a standardized package "is unlikely to materially contribute to an increase in illegal trade in tobacco products in Singapore." 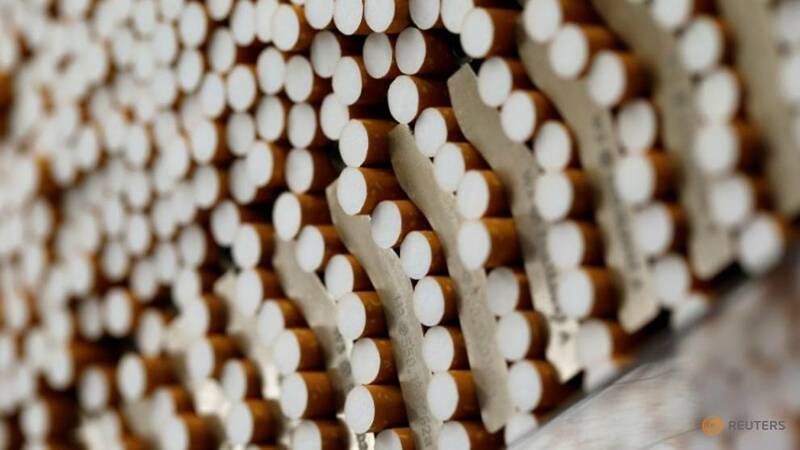 "We have reached this position after we carefully considered the arguments and evidence submitted by the tobacco industry on illicit trade for public consultation," he said. Mr. Tong added that the local context is also important, as the prevailing form of illicit tobacco in Singapore is a free customs duty cigarette, unlike counterfeit cigarettes. "Due to the relatively small Singapore cigarette market, counterfeit cigarette manufacturers have not been encouraged to counterfeit cigarettes for sale in Singapore," he said. Mr. Tong added that the contribution of a standardized up-trading package would probably be only modest. Any influence that can lead to an increase in overall demand can be solved by policy measures to increase the absolute price of low-cost brands, for example by increasing tobacco tax. Regarding the advertisements, Mr. Tong said that Prof Lim had raised the correct attitudes about what is happening with the spread of social media. He noted that tobacco-related advertisements in all forms of media have already been banned, but they agreed that a large number of different influential and carefully designed images can make detection and execution more difficult. He added that HPB also runs a "very extensive" public education campaign that is also being conducted on the Internet and on social media. "So, apart from being implemented through the rules we have in place, we want to expand public education on the same platform, with the same reach and, hopefully, the same target audience as trying to do these tobacco companies," he said. As for the electronic media, he said that there are existing guidelines on the content of the media for broadcasting the media to pay due attention to showing smoking on TV, in movies and other media channels. Regardless, he added, his ministry will examine the proposal to show messages or anti-smoking advertisements before movies containing tobacco images are displayed. Rounding out his speech, Mr. Tong said that the decision to introduce standardized packaging and increase the size of the graphic warning was not taken lightly. "We paid due attention to the available evidence, consulted experts from various fields, and we looked for the views of the public many times," he said, adding that his ministry recognizes the impact of changes on tobacco and related industries, and took into account steps to mitigate this impact.